The Christmas movie season is always flush with film trying to win awards, making December one of the better months for cinephiles (which is nice considering that January is the worst month for cinephiles). 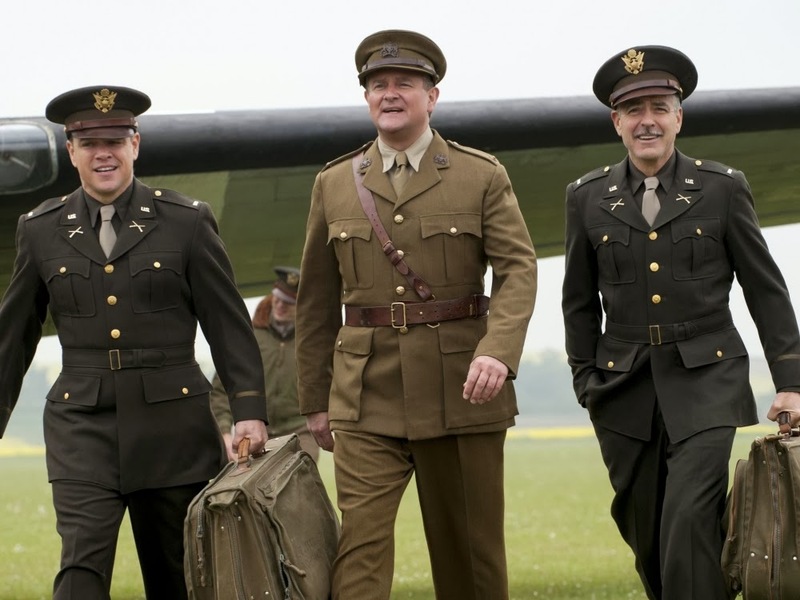 This year, one of the films I was most looking forward to was George Clooney's The Monuments Men. Starring Matt Damon, Cate Blanchett, Hugh Bonneville, John Goodman, Bob Balaban, and Bill Murray, it's the true story of a squad of historians and art experts who are sent into Nazi occupied Europe in an attempt to save items of artistic importance from the German blight. The trailer struck a very light tone, with some calling it Ocean's Eight, but to me it looked like a lot of fun. And we'll have to wait a while longer to find out. Originally scheduled for a Dec 18th release, Clooney has pushed the release back to early 2014 (depending on the studio's schedule, I'm going to guess late April or early March). His reasoning? “We just didn’t have enough time … If any of the effects looked cheesy, the whole movie would look cheesy. We simply don’t have enough people to work enough hours to finish it.” To which I immediately respond, how many special effects are in the film? If it's a character centric period piece, what needs to be CG? Clearly this is endemic of the problem with Hollywood's over reliance on computer imagery to fill in the gaps where actual filmmaking used to take place. Or, maybe the studio insisted that Clooney add in a Nazi dragon, used to guard the plundered loot. I don't know. A spring release will actually be better for the film, as it won't have to compete against the Goliath that is the Hobbit at the box office, or awards bait films like American Hustle and Saving Mr. Banks. At worst it'll be going up against whatever cartoon franchise sludge Sony has to put out.